Could your data center and data backup be eating away at your budget without you knowing? Data center infrastructure and data backup are complicated, time-consuming measures that can hold back the performance of your IT while causing major headaches for the IT department. • The bad news: The wasted time and reduced performance will eat away at your budget – and most of the time, you won't even know it's happening. • The good news: By outsourcing or optimizing data center aspects and data backup, you can free up time, increase performance, and ensure high-performance IT – all while preserving budget. View this event to learn about your options for outsourcing and optimizing your data center and data backup, including how they can reduce costs, boost performance and make IT's life easier. Live from HP Discover 2013, Frank Nishimori, Technical Consultant, will be announcing new HP products as they're released and the vision of where storage is headed. We’ll also tell you how to get Tier 1 solutions at SMB price points, and how to take advantage of HP’s guarantee that you’ll half your amount of capacity and double your amount of density – or they’ll make up the difference. 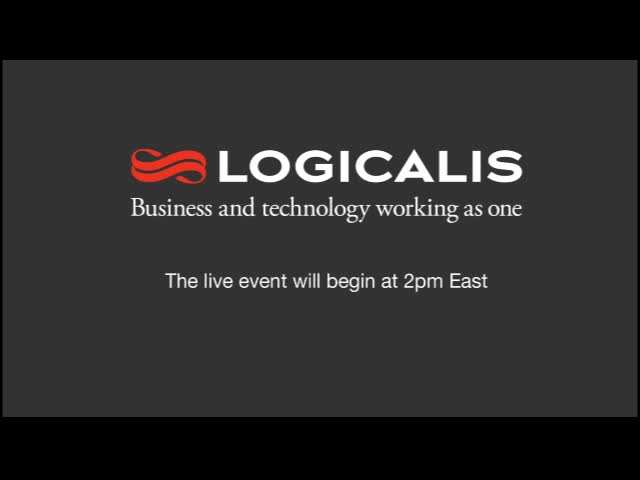 Presentation will be given by Jens Carlsson with Logicalis, a global solutions provider. Mr. Carlsson will share the expert point of view on how to build the most efficiency into your technology refresh, and will answer your questions when it comes to planning your storage solutions strategy. Jens Carlsson is a storage consultant/architect with over twelve years of experience in IT. He has extensive background with storage architecture, deployments, repairs, consultation, and instruction of both hardware and software in heterogeneous environments. He possesses a deep understanding of IT and how it enables an organization to achieve its objectives, having worked with both small and large mission critical companies.